An important part of my work is community engagement. Every year, I select an organization that speaks to my work in a vital way. In 2018, I began working with the James River Association to create a piece of work that catalogs the flora of Tuckahoe Creek, a tributary to the James River. Running alongside the new Hardywood Park Brewery in West Creek, there is an almost endless selection of plants and trees. After a morning of collecting leaves with JRA's Bill Street and Amber Ellis, I began planning a composition that will reside at Hardywood West Creek. The James River is Virginia’s largest river, flowing across the entire state from its beginning at the headwaters of the Cowpasture and Jackson Rivers in Bath and Highland Counties, to its mouth at the Chesapeake Bay in Hampton Roads. It is also Virginia’s largest source of drinking water and our largest tributary to the Chesapeake Bay. 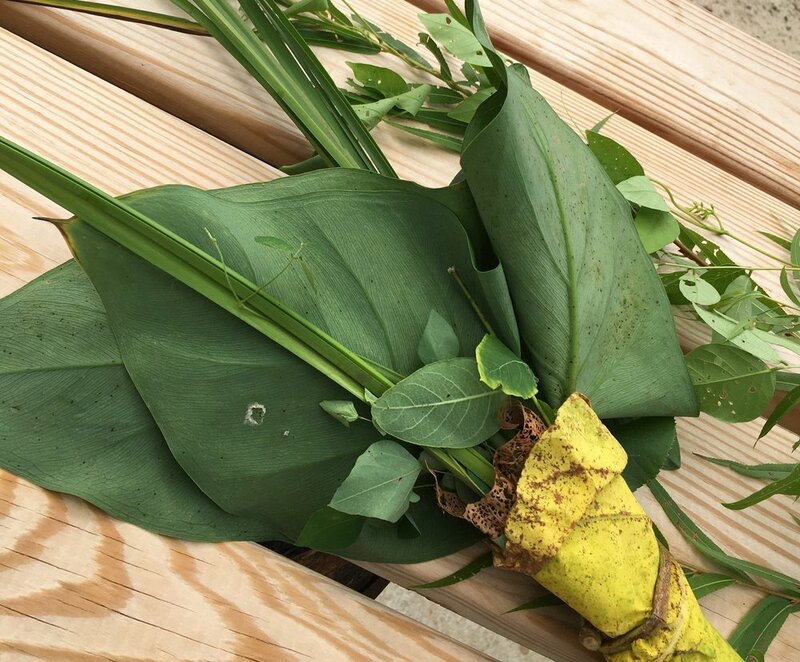 Below is a listing of the flora we harvested at Tuckahoe Creek. Not all of the plants made it into the final composition, as not all leaves render legibly on copper. While many of the trees were familiar to me, most of the water plants were new discoveries, and a welcome addition to plants I love.